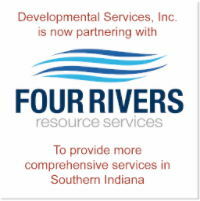 Developmental Services, Inc. is looking for an Education & Enrichment Team Lead that is energetic and reliable to work with persons with disabilities in Day Services in Greensburg, Indiana. • Full time position facilitating education and enrichment programs relating to fine arts, music, health and wellness, recreation, vocation and career development, and community involvement activities for adults with disabilities. Ideal candidates should be enthusiastic and take initiative to lead and develop this growing program and be able to adapt activities for a wide variety of interests and skill levels. Candidates should also embrace DSI’s value of providing clients choices in order to enable independence and decision-making.